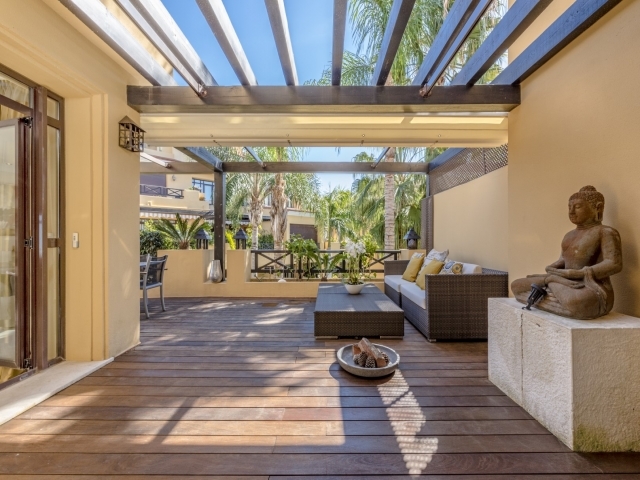 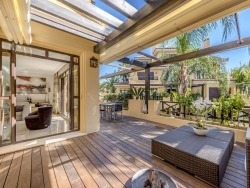 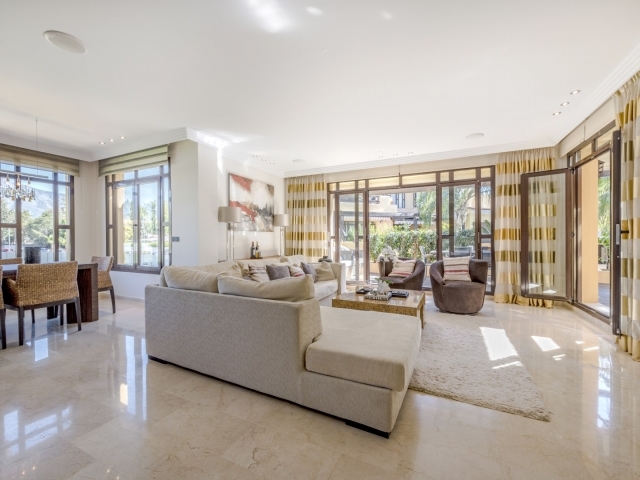 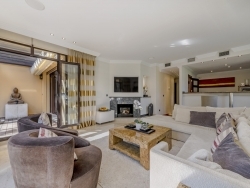 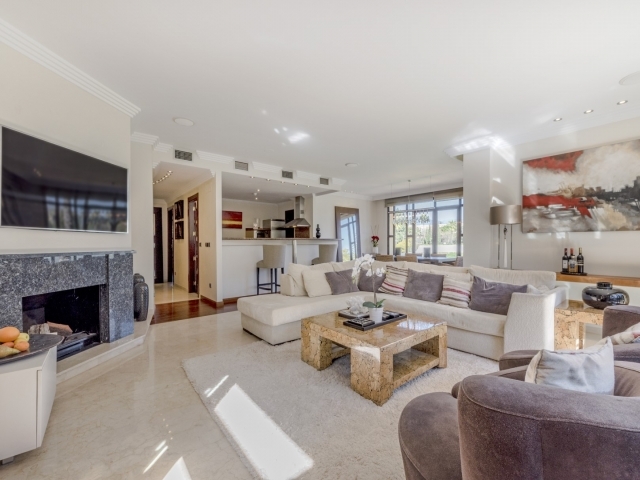 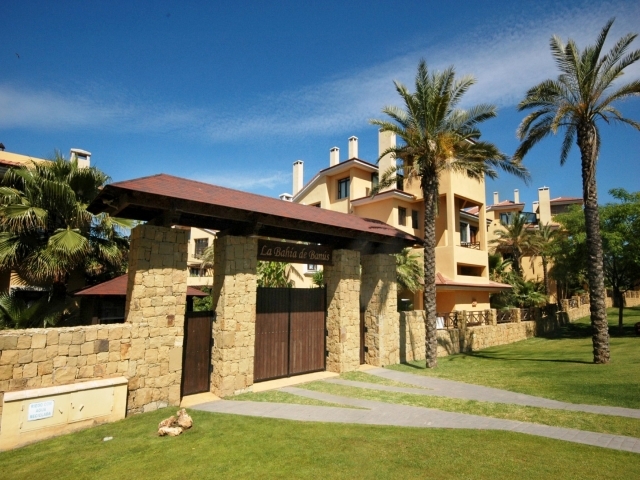 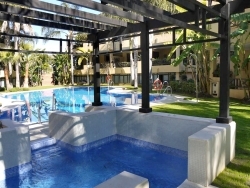 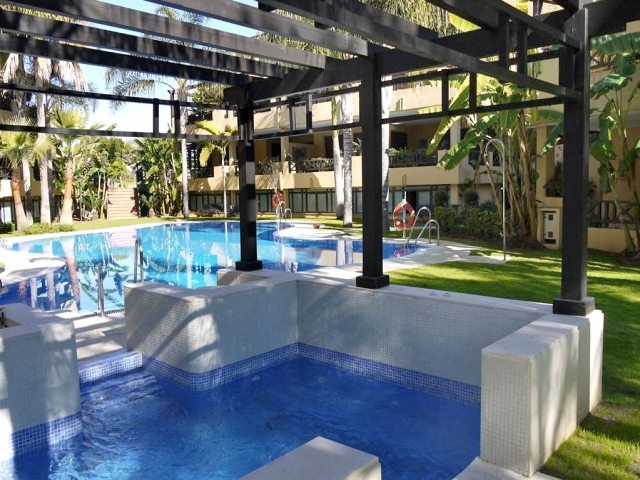 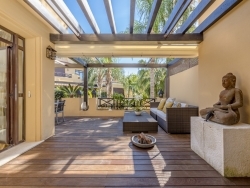 Stunning two bedroom apartment for sale in an exclusive gated development in Puerto Banus. 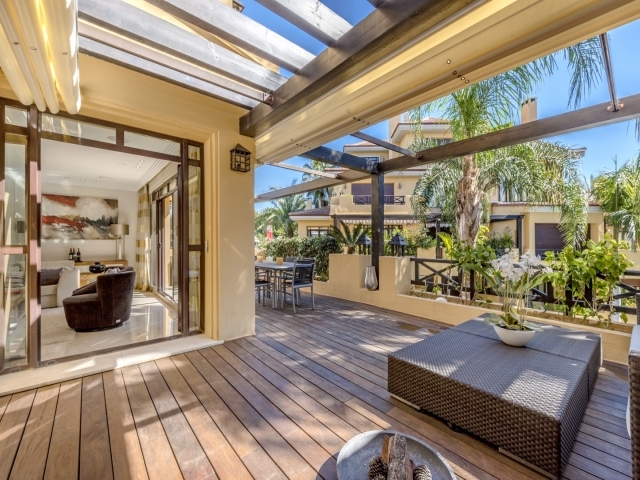 Bahía de Banus is a highly sought-after residential complex with beautiful gardens, two swimming pools, gym and 24 hour security - and situated just 100m from the beach! 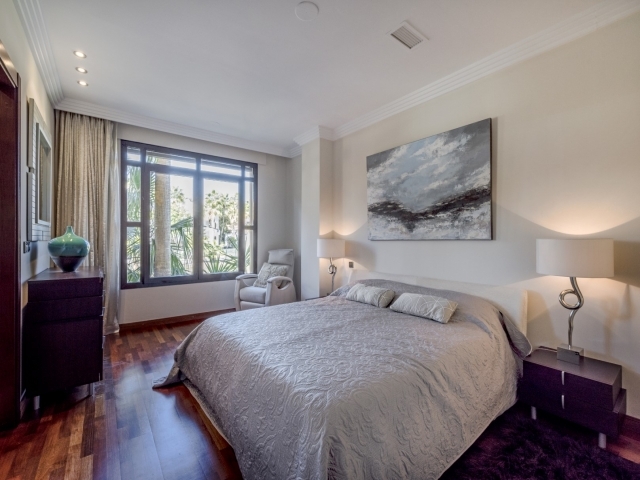 This corner unit is incredibly spacious and boasts an attractive style with quality furnishings. 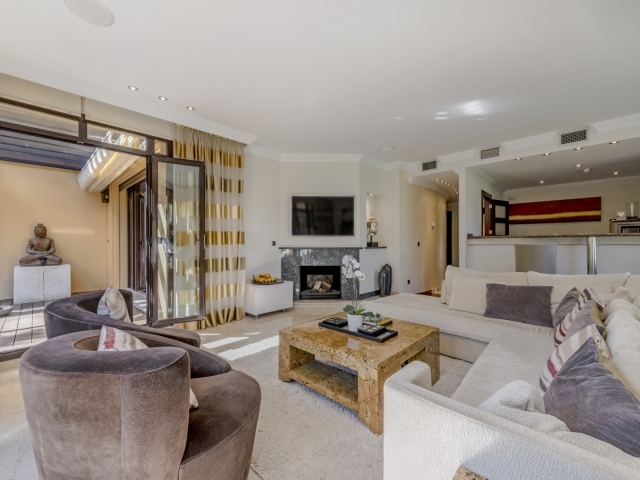 The apartment comprises an entrance hallway which leads through to a fully fitted open plan kitchen and utility room, large living room and dining room with feature fireplace and floor to ceiling windows which allow for plenty of light. 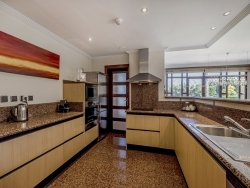 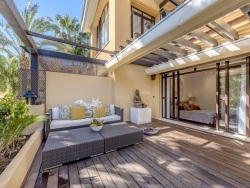 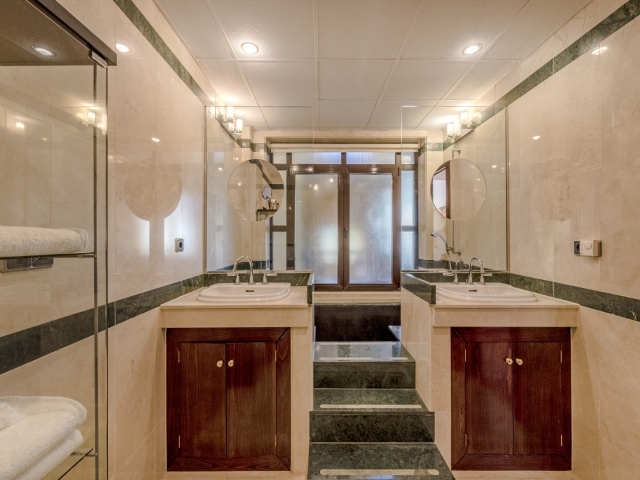 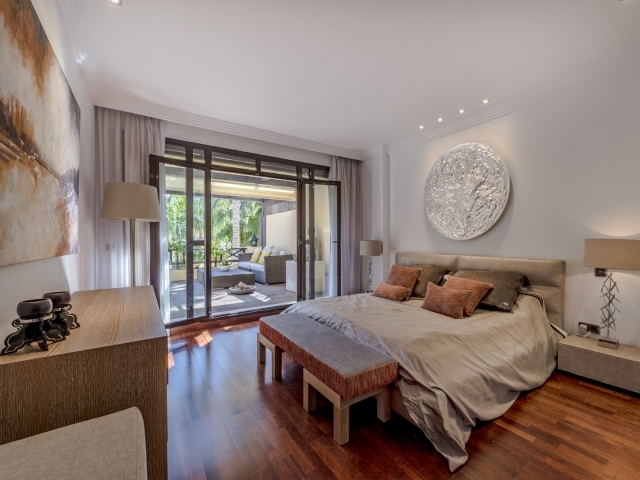 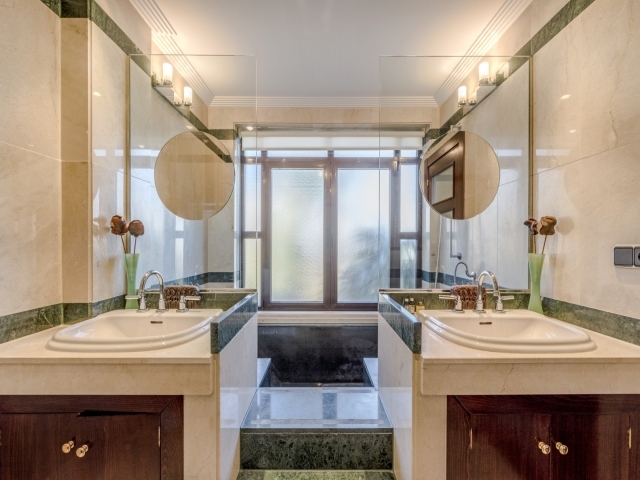 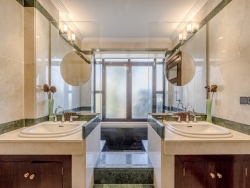 Both bedrooms are very generous in size and have luxurious en-suite bathrooms. 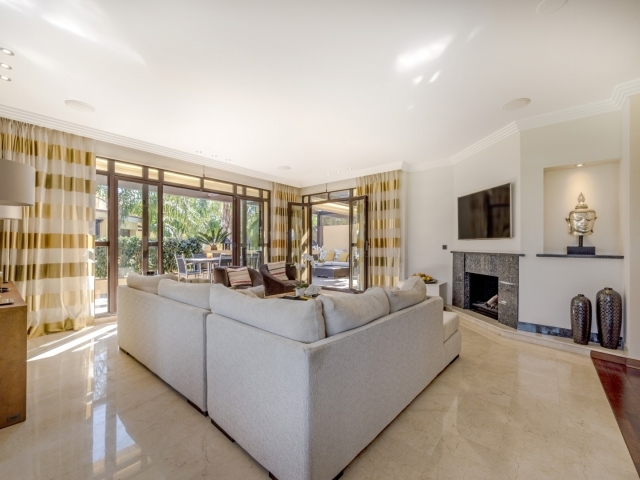 The living room and master bedroom both have patio doors out to the terrace which benefits from the corner layout and provides ample space to chill or dine looking out over the lovely communal gardens. 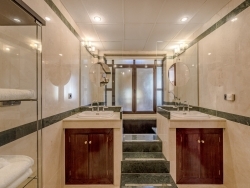 There is an assigned parking space and storage room in the underground garage with lift access from there up to the apartment level. 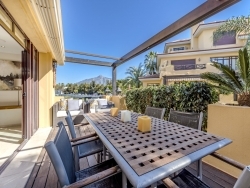 Bahía de Banus is a desirable development due to its unbeatable location and high level of luxury. 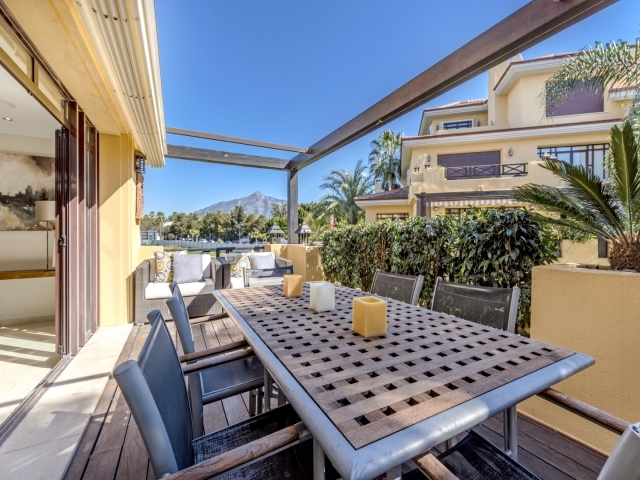 Situated just a couple of minutes walk to Mistral Beach and a fifteen minute walk along the sea front to Puerto Banus harbour, it is also close to bus routes and the motorway for easy access to Marbella and the Nueva Andalucía Golf Valley. This is an excellent choice for anyone looking for luxury by the sea.